Drepanocarpus inundatus Mart. ex Benth. Machaerium inundatum is found in the primary forests of Amazon region. In Peru, M. inundatum is relatively abundant in, the departments of Huánuco, Loreto, Ucayali and Madre de Dios. Colored deposits in heartwood vessels. Axial parenchyma aliform. Axial parenchyma confluent. Rays more than 10 per mm (abundant). Rays storied. Rays exclusively uniseriate. 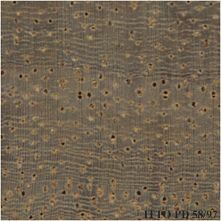 The sapwood is differentiated, it is pale yellow, the heartwood is brown color. The grain is usually interlocked. 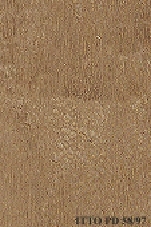 This species is considered to be durable, but the sapwood is susceptible to staining fungi attack. Ease of Drying: It is reported to be moderately difficult to season. This species air dries at a fast to moderate rate. Drying Defects: Slight crooking, bowing and some tendency to twisting are reported. Checks are reported to be slight. Kiln Schedules: Careful drying is recommended. Sawing of this wood is reported to be easy to fair. Machining of this species is reported to be easy. Molding is reported to be easy. This species is reported to be easy to finish.